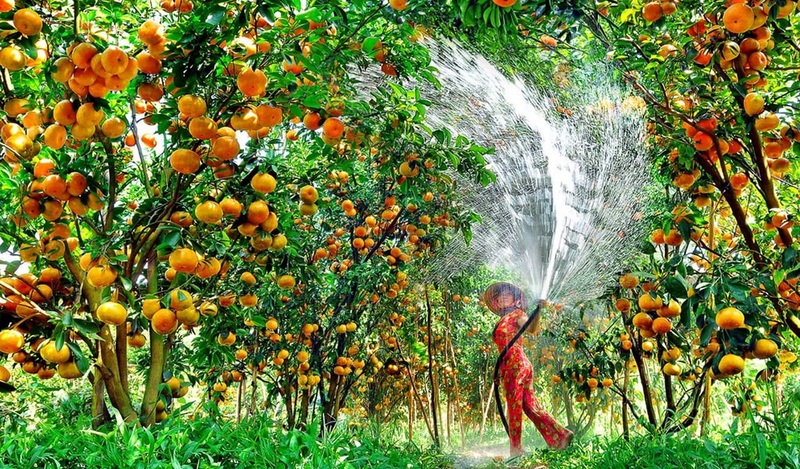 Many orchards of the Mekong Delta produce the majority of fruits in Vietnam. 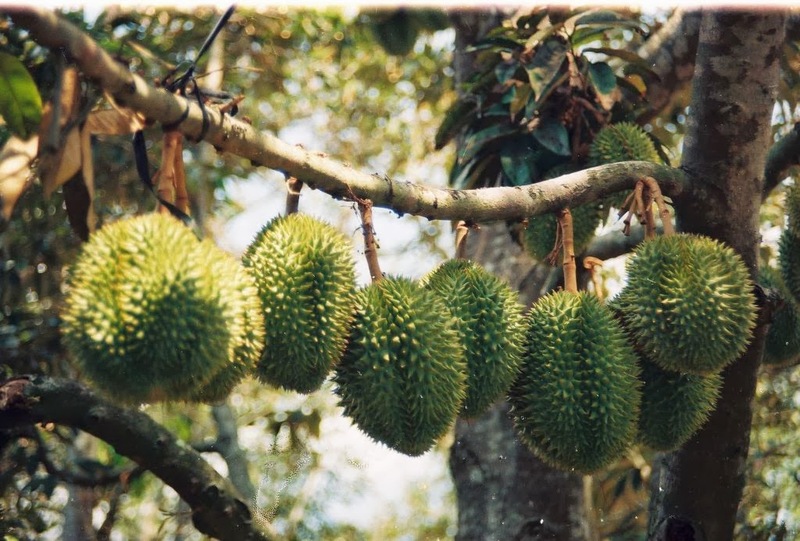 On any given season, you have no difficulty finding a wide variety of tropical fruits that are grown by farmers of this region in the local markets of Hanoi capital city, Hue and Ho Chi Minh City. As many tropical fruits cannot be picked green and do not last long in storage where they quickly lose their aroma, the season is very short. During the raining season in the South, from June to September, the greatest variety of fruits is available. After picking the fruits, they will transport them on small boats to floating markets where these fruits are sold to wholesale dealers. In the off-season, to meet such high demand for flowers during the New Year festival in some big cities, many orchards become flower nurseries. The orchards are separated by a large number of small irrigation canals with delicate bamboo bridges called monkey bridges or “Cau Khi” crossing them. Vinh Kim apple star orchard, in Vinh Kim District of Tien Giang Province in the Mekong Delta, which is one of the most famous ones located in this region, is a place where you can see for yourselves a few hundreds of star apples suspended from the branches. The round smooth fruit are all of the same size. 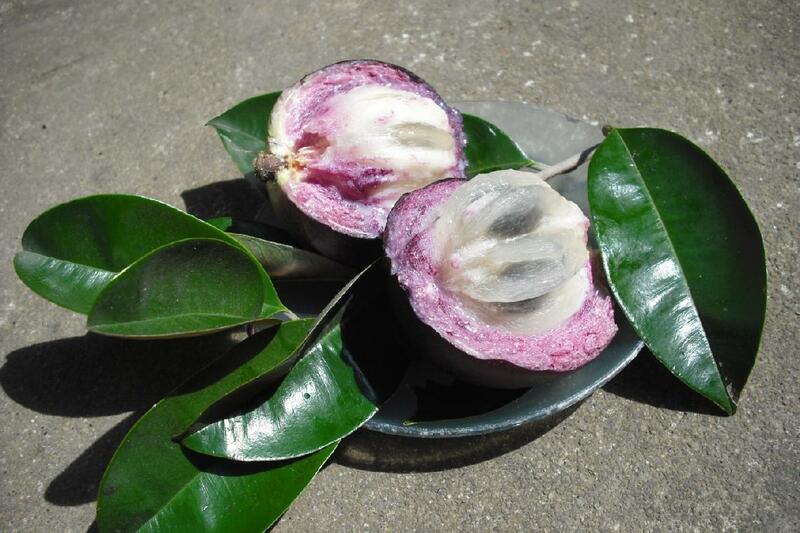 Not only the shape of the star apple but also its juice that is fragrantly sweet and milky white like breast milk matches the name attached to it. 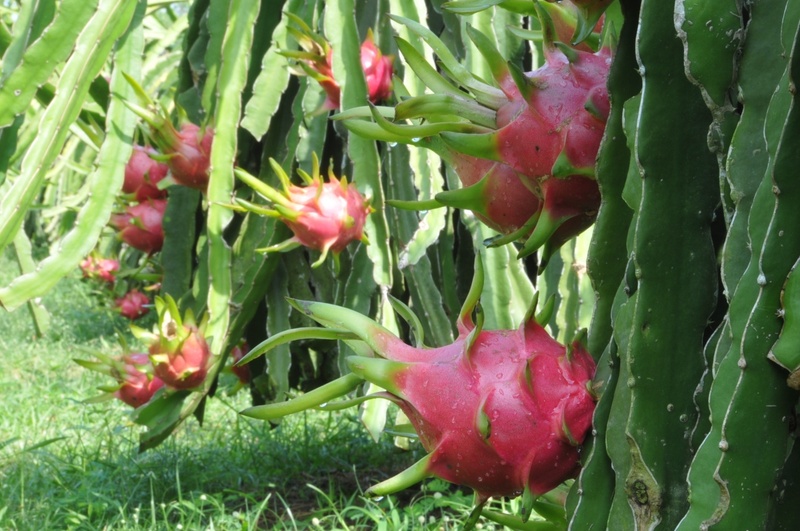 Normally weighing from 150 to 600 grams; some of dragon fruit in the Cho Gao orchard which owns a semisweet snowy white pulp, may even reach one kilogram. In fact, what make this variety so popular among growers and consumers worldwide are not only the impressive size but also the dramatic color contrast between the inside and outside of the fruit. Being self pollinating, this variety sets fruit without being hand pollinated.